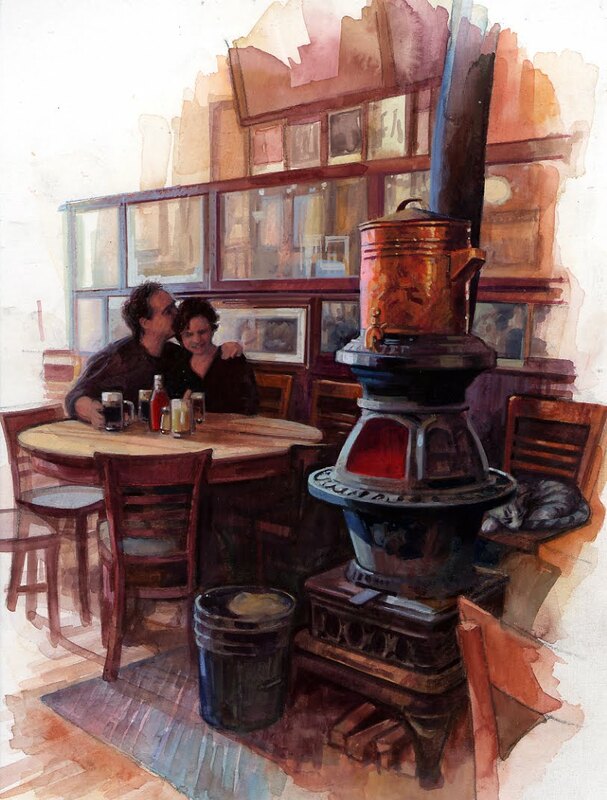 The pot belly stove at McSorley's is one of the great features, especially with the colder weather moving in. Note the cat sleeping behind the stove. The health department ordered him gone so Pepe, the bartender, adopted him. All's well that ends well.